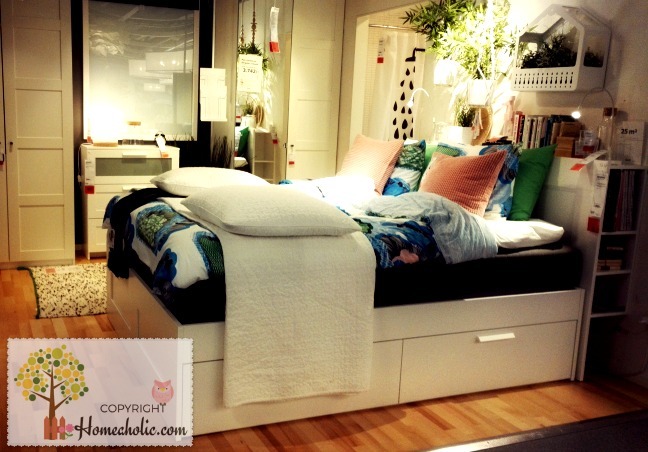 HOMEAHOLIC: Your Bedroom is the Most Important Room in Your House - and Here's Why! Your Bedroom is the Most Important Room in Your House - and Here's Why! What, in your opinion, is the most important room in your house? It could be the kitchen, where food is prepared and stored. It could be the living room, which is so often the room that sells a house. Certainly, without the bathroom you'd be in a very difficult situation. But if we're talking importance, it's got to be hard to argue against the bedroom. At the end of each day, you put your head down to sleep and your body gets the rest it needs. You recharge for the following day and wake up, hopefully refreshed, for the day to come. Especially if you’re currently renovating, making sure you’ve got the bedrooms right first is so important. Getting some sleep every night is important. However, what a lot of people don't pay attention to is that it's not just getting some sleep. The quality and quantity of that sleep are vitally important. A couple of hours of deep sleep easily beats six hours of fitful rest - so make sure you're getting the best sleep you can get. Reading your phone or laptop in bed before sleep may be the way you "wind down" after a long day, but it actively decreases the quality of sleep you get. Looking at a screen prevents our bodies from releasing melatonin. This is a chemical that tells our bodies it is nighttime. It will take longer to get to sleep, and the quality of that sleep is less. If you have excess energy that you haven't burned off during the day, this can cause restlessness at night. You toss and turn and tell yourself you need to sleep, but your brain is too active to "switch off". Exercising every day allows you to get rid of this excess energy. One bit of advice: exercising shortly before bed causes you to release adrenaline. So if you’re currently improving your home, leave any highly physical tasks for earlier in the day. The amount of rest that your body gets depends on how comfortable it is. Even if you can get to sleep on a hard mattress, it makes you more tense and reduces the quality of sleep. You'll wake up in the morning and feel like you need several hours more. Inform yourself before buying a mattress. Useful information can be found at http://www.bestbedsboutique.com/ and other places online. The right bed can make a huge difference. Some people will tell you that if you nap in the day, you won't get to sleep at night. Others disagree and say that power naps throughout the day are the best way to get good quality sleep. The truth is that only you know what works for you. If you struggle to sleep at night, maybe day naps aren't for you. But if they help you feel sharp during the day and you're getting quality sleep, then go right ahead. Your sleep is among the most important things to keep you healthy and happy. Don't compromise on it; you'll see the benefits of getting it right.